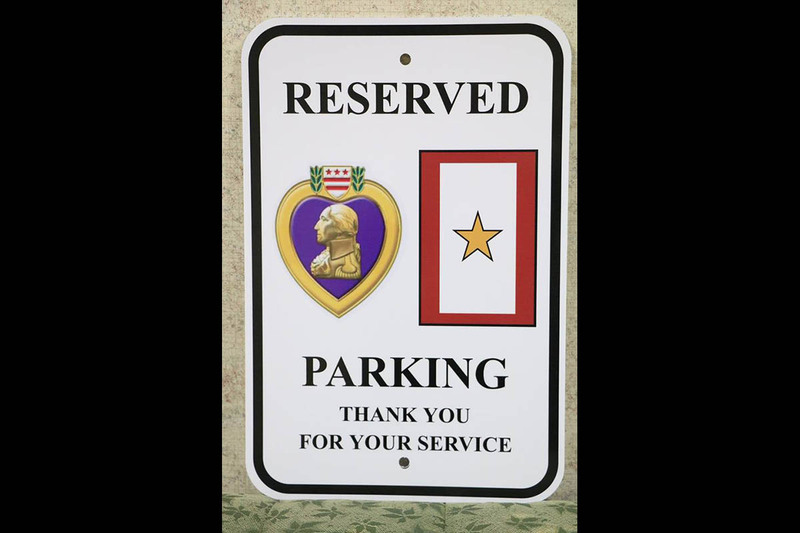 Clarksville, TN – The City of Clarksville announces that reserved parking for Purple Heart recipients and Gold Star families are coming soon! 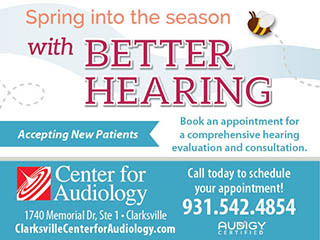 Look for these placards in parking lots around Clarksville Parks and Recreation parks, City Hall, Clarksville Gas and Water and CDE Lightband in the coming weeks. Clarksville Mayor Kim McMillan holds up one of the new reserved parking for Purple Heart recipients and Gold Star families signs. A Purple Heart medal is presented to service members who have been wounded or killed as a result of enemy action while serving in the U.S. military. 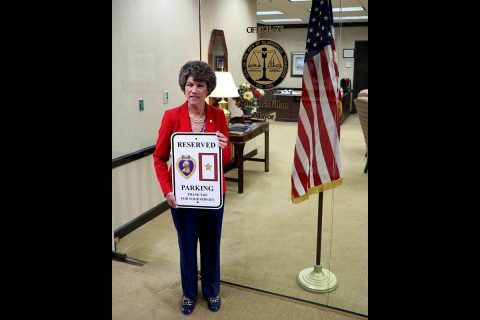 More than 1.8 million Purple Heart medals have been presented to service members since it’s creation in 1782. The term ‘Gold Star’ family is a modern reference that comes from the Service Flag. These flags/banners were first flown by families during World War I. 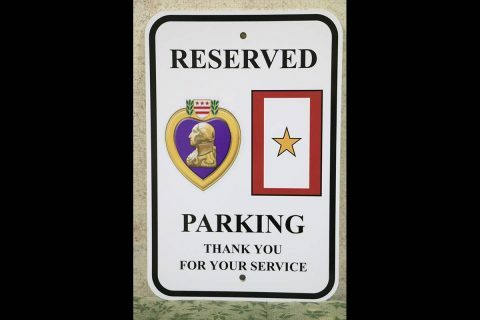 New reserved parking sign for Purple Heart recipients and Gold Star families. The flag included a blue star for every immediate family member serving in the armed forces of the United States, during any period of war or hostilities in which the armed forces of the United States were engaged. If that loved one died, the blue star was replaced by a gold star. This allowed members of the community to know the price that the family had paid in the cause of freedom.